...you wouldn't need to ask such questions. Master Nier was probably referring to the destruction of his untanked Retriever, or possibly his pod. Regardless, it was evident by the miner's fit and his behavior that he'd been infected by bot-aspirancy. 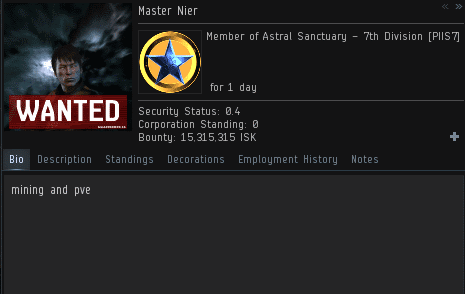 A potential vector: The miner's corp, Astral Sanctuary - 7th Division, which claims to offer a safe haven for all highsec miners. 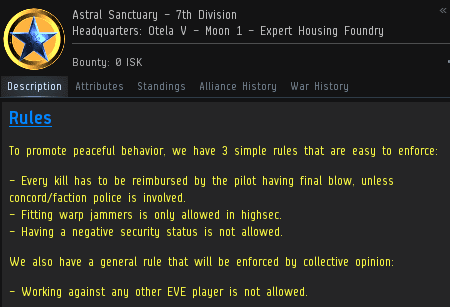 In exchange for safety, all its members must promise never to "work against" another EVE player. No PvP in a PvP game! Yet the death of Master Nier's ship made it readily apparent that the corp couldn't protect him at all. He was in desperate need of a mining permit. Agent Liek DarZ attempted to administer the antidote to bot-aspirancy. However, the miner was in bad shape. He was incoherent, possibly delirious with fever. The New Order had finally picked on the wrong carebear. Agent Liek DarZ's computer was now in jeopardy. All Master Nier had to do was navigate his way into the heart of the CPU, fire off a few rounds, and the whole computer would be toast. Despite the hacker's power, he only requested about a 50% reimbursement of his loss. When the reimbursement wasn't forthcoming, Master Nier suddenly pulled another trick out of his sleeve. 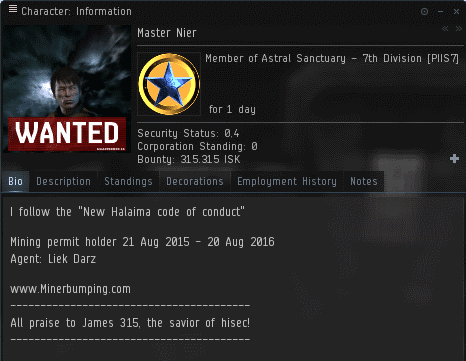 His friend, an unscrupulous CCP employee, would permaban Liek DarZ as a personal favor to the miner! Either that or he'd tell Master Nier to file a petition. It's unclear. 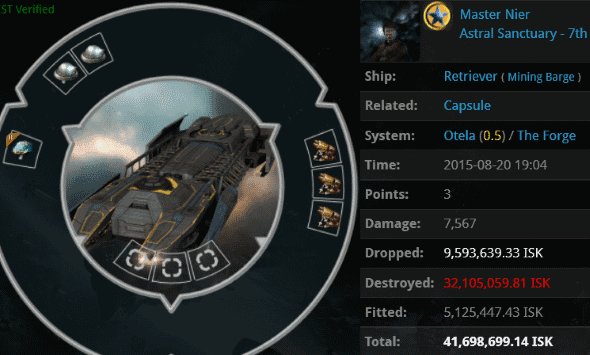 Supposing it's not against the rules to shoot a ship in highsec, it's still bad sportsmanship. Or maybe Master Nier didn't care about sportsmanship or the official rules. Having been ravaged by the plague of bot-aspirancy, Master Nier's mind was spinning out of control. Master Nier left the convo. He withdrew to his lair to prepare an EVEmail-compatible virus. Master Nier had realized that he couldn't rely on his corp to protect him. Nor did his collection of computer viruses offer him any comfort. He needed a mining permit, so he bought one from Liek DarZ. Maybe he wasn't such a hopeless case after all? Then again... Within a day, his corp prevailed upon him to remove the permit--which he'd purchased--from his bio. They promised him that he didn't need a permit and that they wouldn't let him be ganked ever again. Master Nier renounced his permit and replaced it with one of the most pitiable bios I've ever seen. Agent Liek DarZ's motherboard, pictured above, remains intact. Will the same be true of Master Nier's next mining ship? Time will tell. 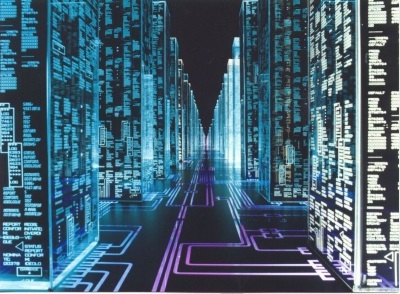 Only an Agent with the caliber of Liek Darz could inspire some miner to attempt to hack the Gibson. Alas, as it is always seen with the miners, once the froth dries from their mouths, they go right back to square one. We'll see you again soon, miner Master Nier. I have been saying for years that 'the carebear' is a pathogen and that New Eden will only be pure and healthy once the carebear disease is 'cured'. W...where are the trolls? Did they collectively take a day off? Phew, looks like Like Darz's motherboard remains in pristine condition. Another perk of being an invincible Agent! One of my current enforcement areas is Osmon and surrounding systems. I see Liek on an occasional basis. He is truly an Agent and a gentleman! The guy takes roleplay WAY too seriously, but he's consistant, I'll give him that.